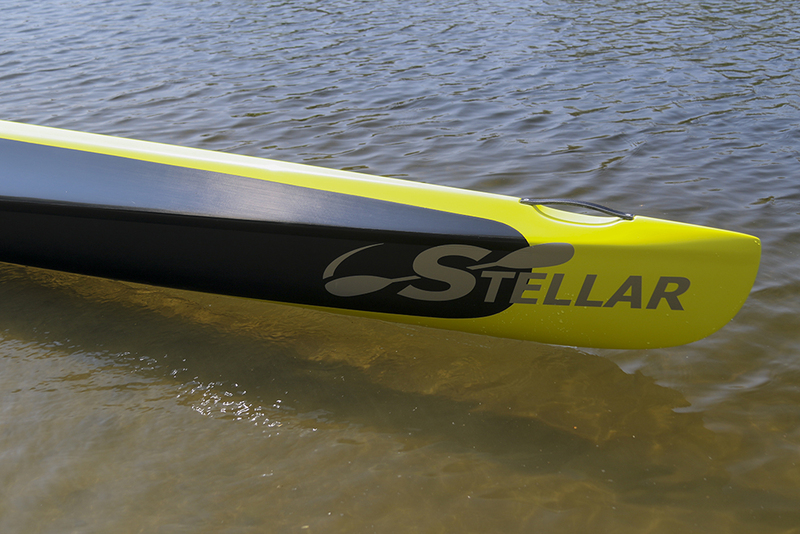 Stellar Elite Low (SEL) - Stellar Kayaks offers kayaks, surf skis, paddles and accessories. 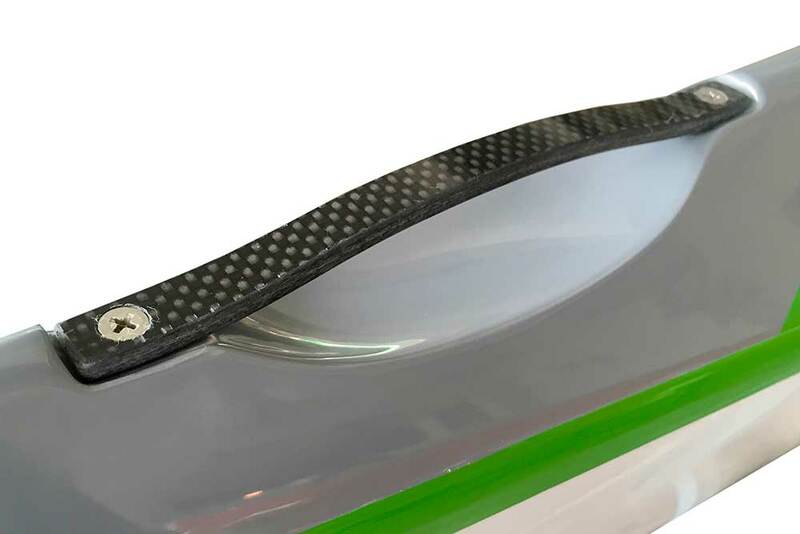 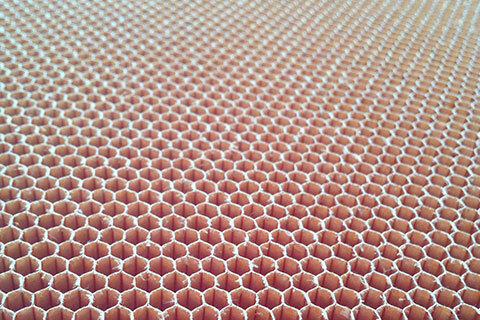 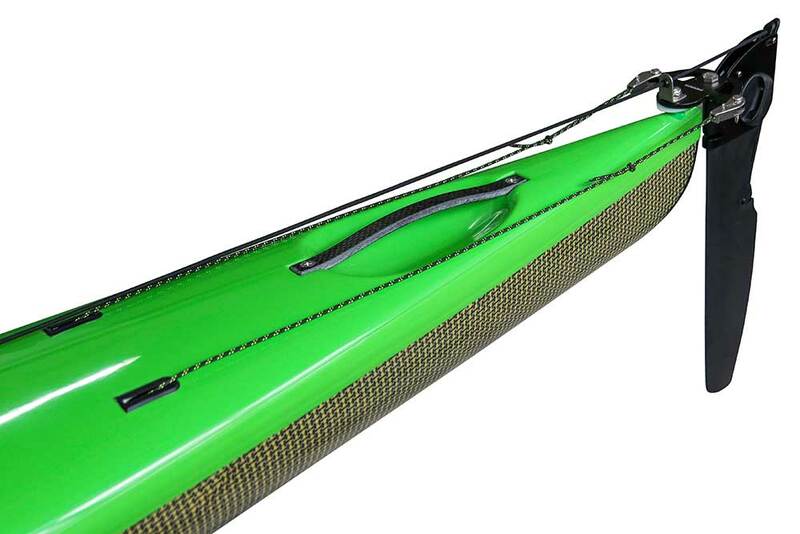 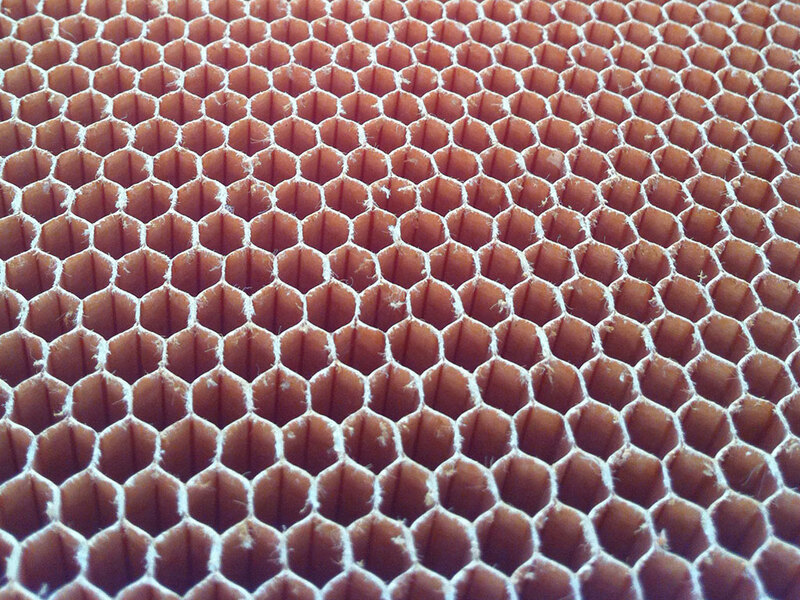 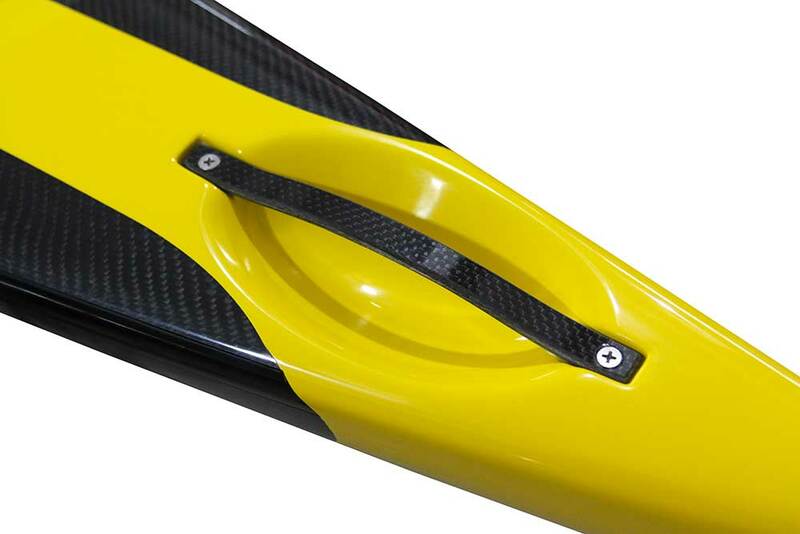 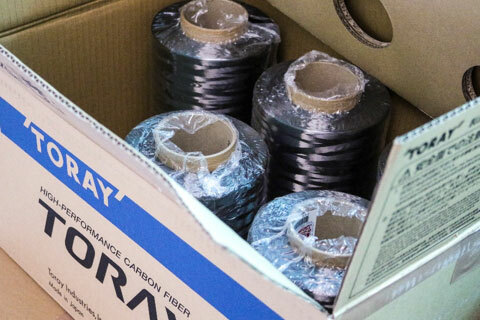 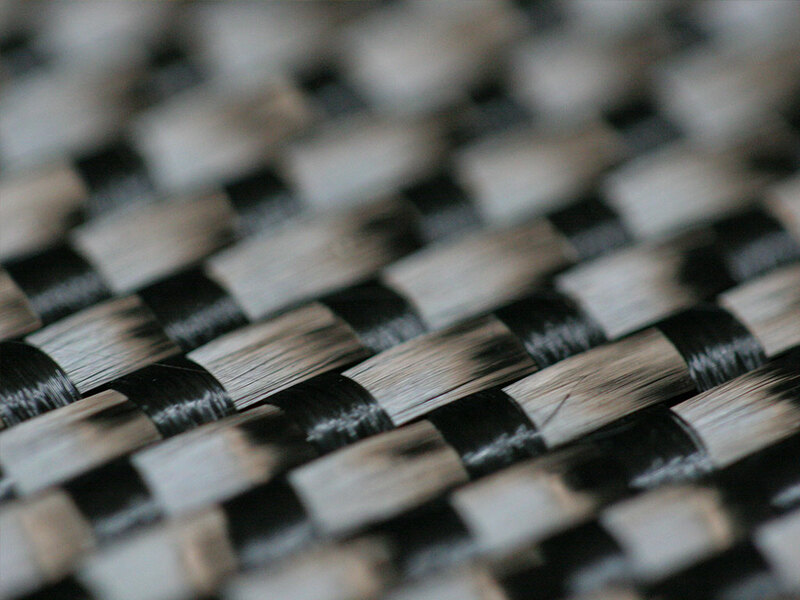 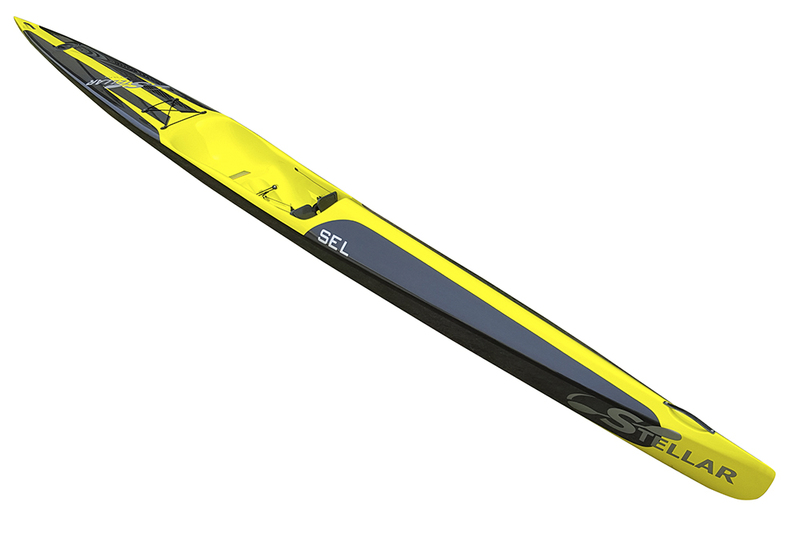 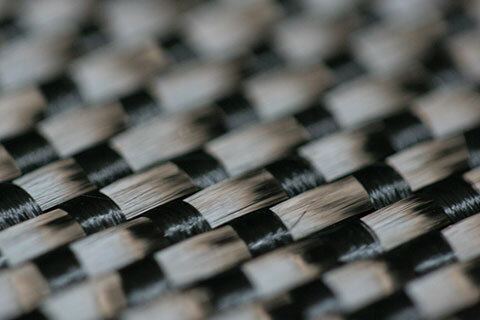 Description: The ultimate racing machine - High modulus, high temperature cured uni-directional carbon fiber for the most advanced and stiffest boat on the market. 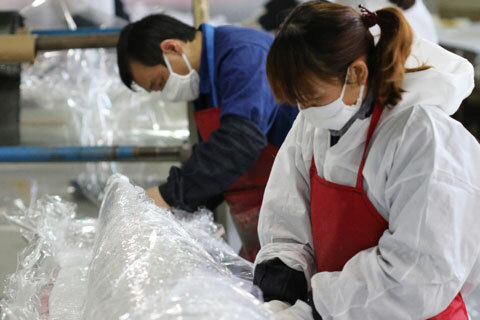 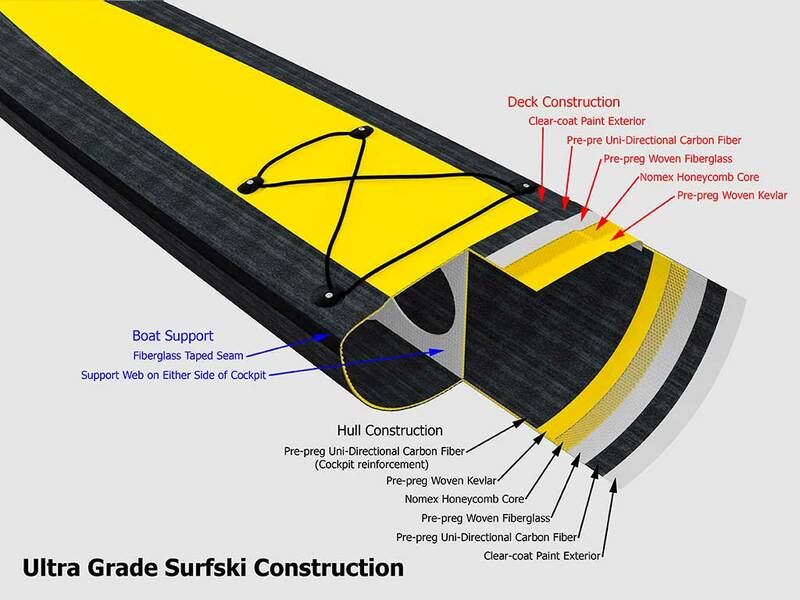 Description: Single skin laminate hull made of Carbon & Kevlar® fabric, with clear gelcoat finish, and the deck is the standard Advantage construction. 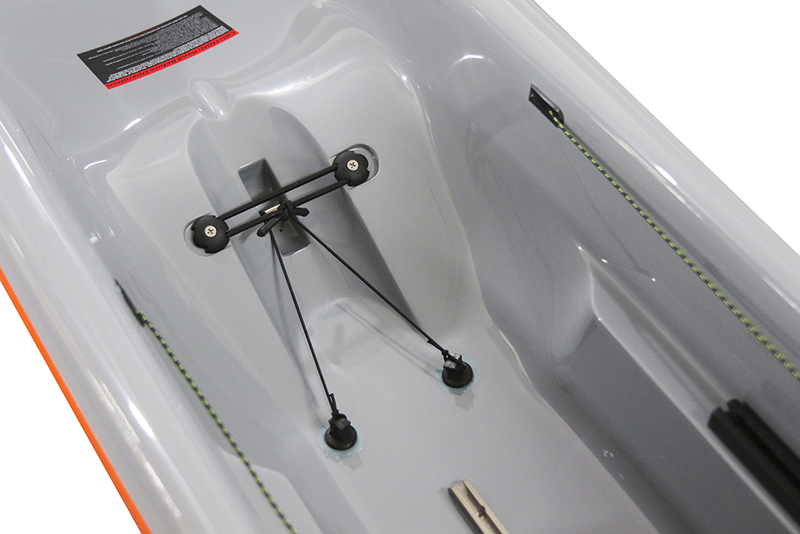 The hull is designed to be flexible and durable, but creates a stiff boat that can take some abuse in class I and II rapids and shallows, but is also at home in the ocean or the flats. 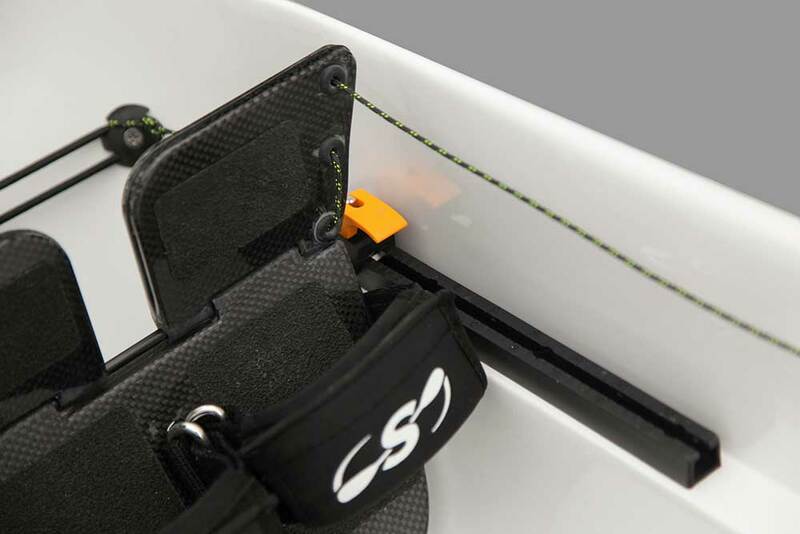 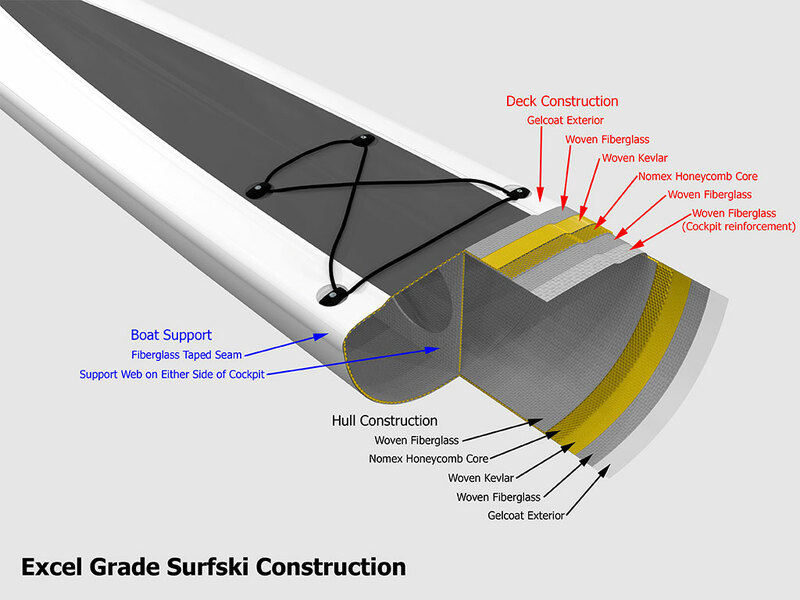 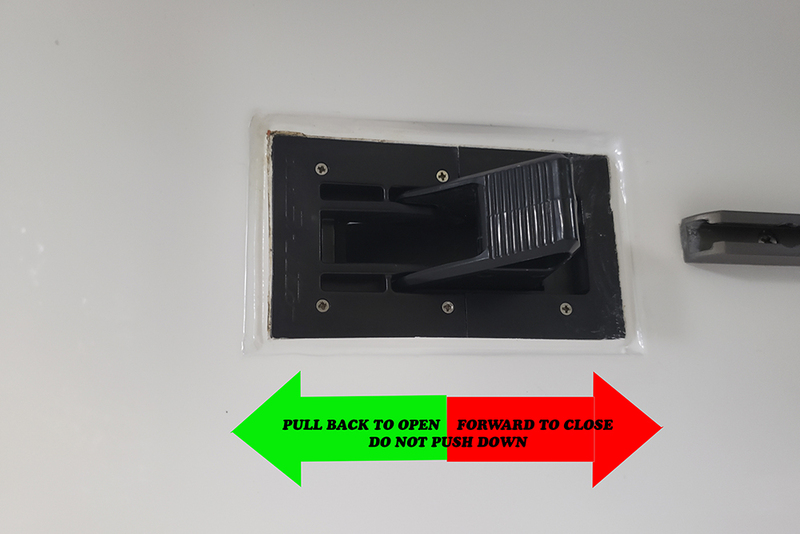 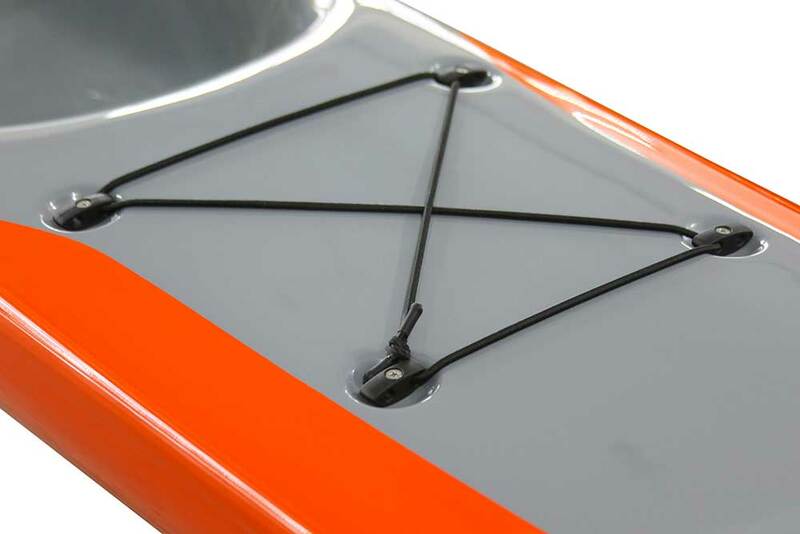 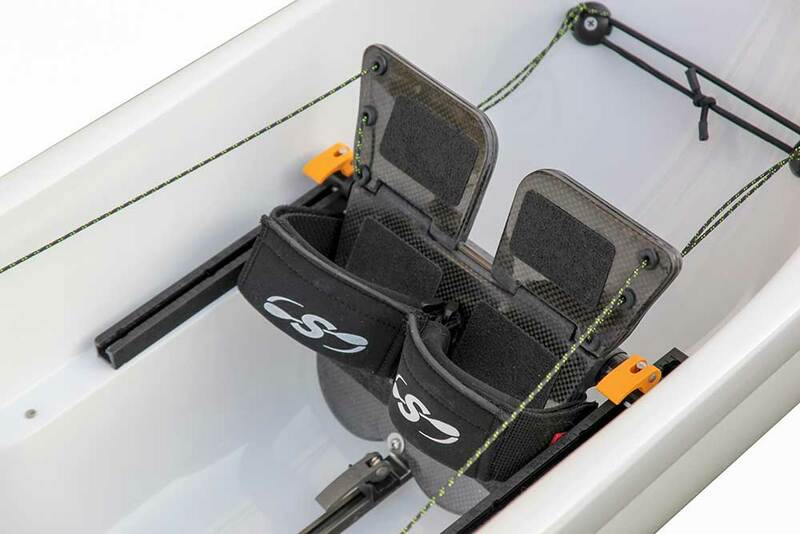 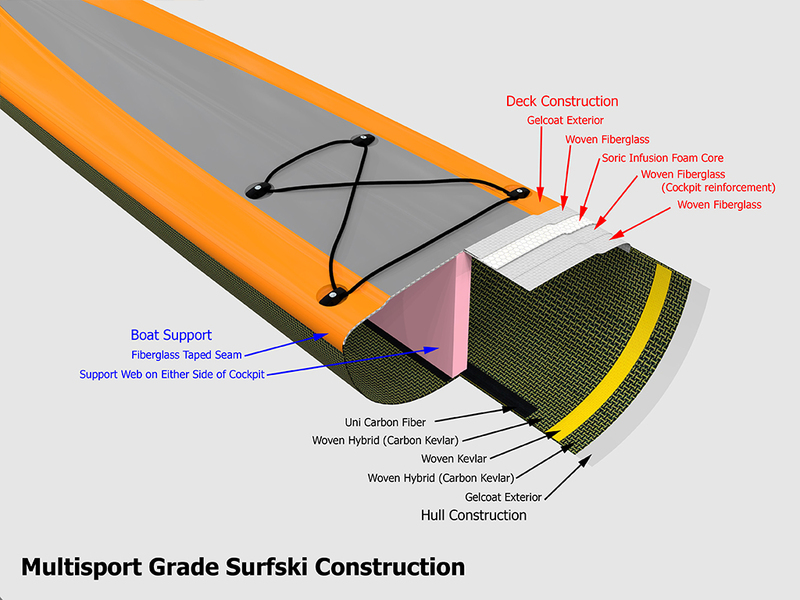 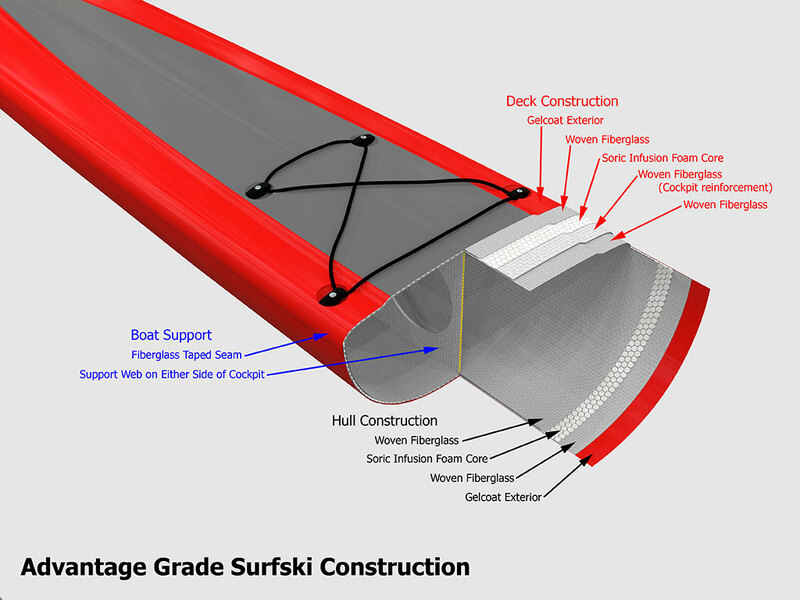 The Surf Ski Multi-Sport construction comes standard with an over-stern rudder and fittings for an under-stern rudder, as well as a flush mounted Andersen Super mini-bailer.